Phyllis was one of the 36 dogfighting victims found and rescued during "Operation Bloodline." 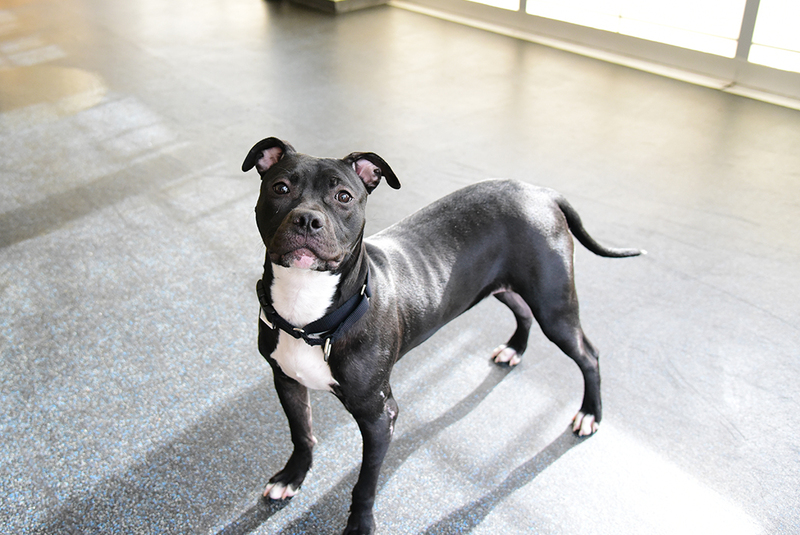 In October 2017, the ASPCA assisted the New York State Attorney General’s Organized Task Force and the Suffolk County Police Department in the rescue of 36 dogs used in a dogfighting ring that was actively engaged in the breeding and training of pit bulls for profit. The investigation—known to law enforcement as “Operation Bloodline,”—began in March 2017, and ended with the successful removal of the suffering animals and subsequent felony arrests of three perpetrators. This week, the remaining two perpetrators pleaded guilty and will be sentenced for their crimes in June 2018—the next steps of justice for the three dozen dogs rescued during this operation. Richard Davis and Taikeem Wheeler of Wyandanch, New York pleaded guilty to the Class E felony of Prohibition of Animal Fighting, in violation of the New York State Agriculture and Markets Law. Davis and Wheeler also each pleaded guilty to an unclassified misdemeanor of Prohibition of Animal Fighting. The third defendant, Martin Newkirk, previously pleaded guilty on February 13, 2018. Lily, one of the dogfighting victims, while in the care of the ASPCA. At the time of the arrests, 14 pit bulls were rescued from Davis’ home, 20 were rescued from Newkirk’s home, and two were rescued from Wheeler’s home. In Davis and Wheeler’s homes, investigators found dogfighting paraphernalia including bloody breaking sticks, heavy chains, weighted dog vests, treadmills and performance-enhancing dietary supplements—evidence that indicated a level of sophistication in the training and breeding of these dogs. All 36 pit bulls were found in deplorable conditions. Many were tethered to heavy chains and segregated from one another, with no visible food or drinkable water, with some showing injuries consistent with prior dogfights. One had an untreated broken front leg and another was significantly underweight. Most of the adult pit bulls had fleas, dirty coats and long claws. 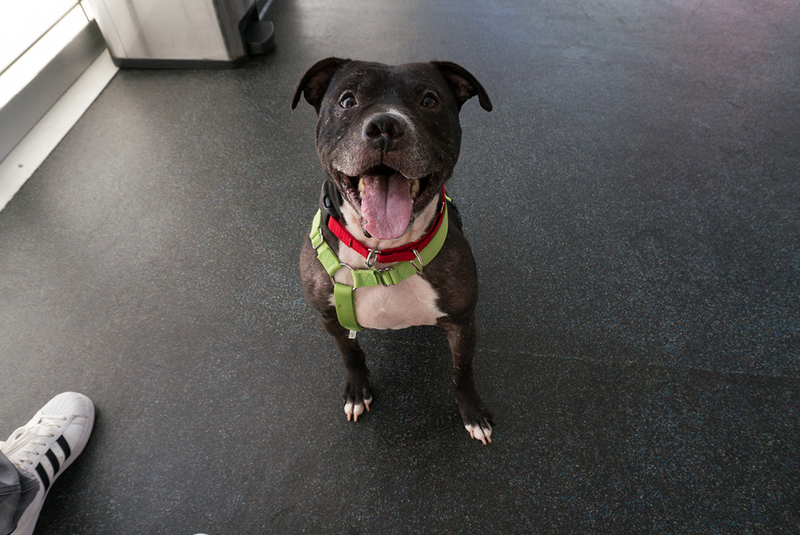 After some recovery time at the ASPCA, Jamie was all smiles. As part of Newkirk’s plea, he surrendered all legal rights to the dogs found on his property, while Davis and Wheeler surrendered ownership shortly after the dogs were seized. All 36 pit bulls were taken in by the ASPCA for care and recovery. 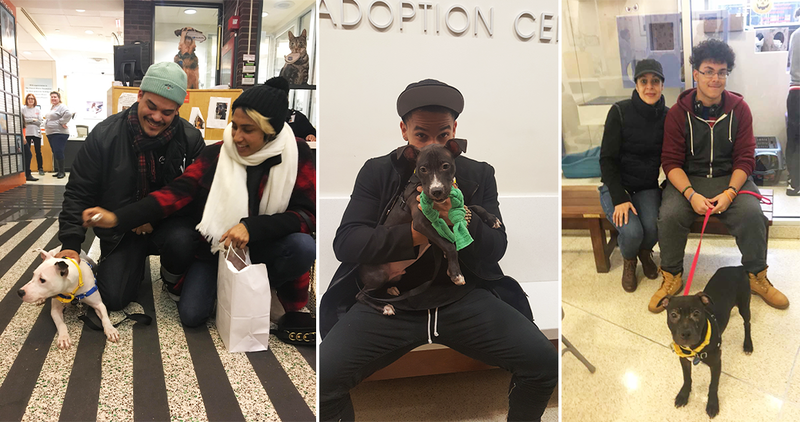 We’re happy to report that many of the dogs have already been adopted into loving, safe homes. Two dogs are currently in foster homes and will be ready for adoption in the coming months. From left to right: Jimbo, Freddy and Dwight all found loving homes and devoted pet parents. Coming on the heels of National Dogfighting Awareness Day, this case serves as a reminder that dogfighting can happen any time, in any community. To protect more dogs from violence, we must remain educated and aware. Learn to recognize the signs of dogfighting, share this information to family and friends and never hesitate to call the police if you suspect dogfighting in your community. To report dogfighting, animal abuse, or to submit an anonymous tip about potential animal fighting rings in New York, please call the New York State Attorney General’s Helpline at 1-866-697-3444 or submit an Animal Cruelty Complaint Form. For other parts of the country, please call your local law enforcement immediately if you suspect dogfighting activity in your community.